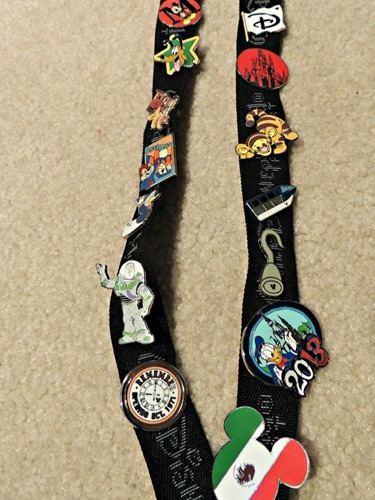 Zachary’s – on the black lanyard in the middle. These are mine. 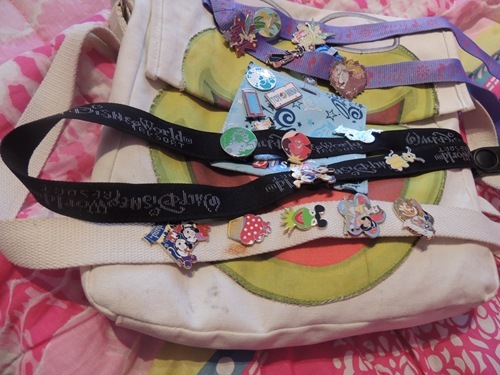 I also have the 5 pins (the princess one is in both pictures) you can see on my bag above. 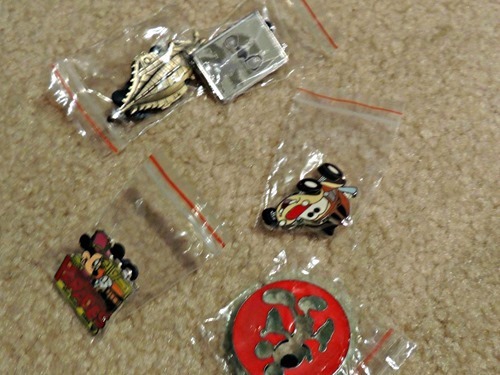 The new pins are the Lady Bug Hidden Mickey pin and the Minnie Mouse parasailing pin. 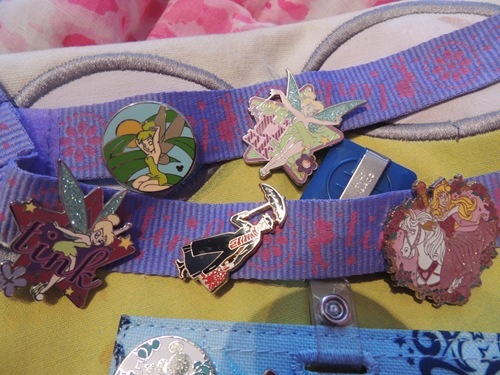 I no longer have the teal and white Mickey pin. 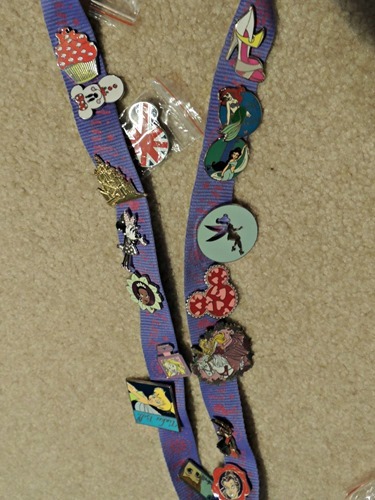 There is one more pin than before – I think I found one that someone lost. That makes up for the ones we have lost in the past! 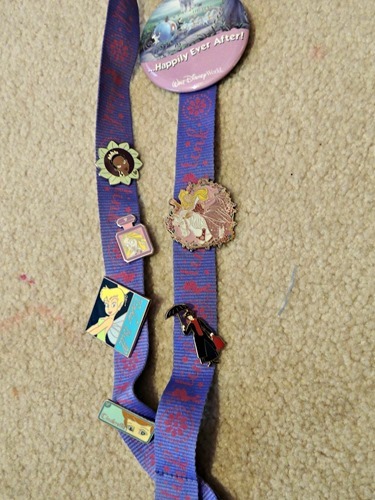 Gabbie was going for a princess collection. 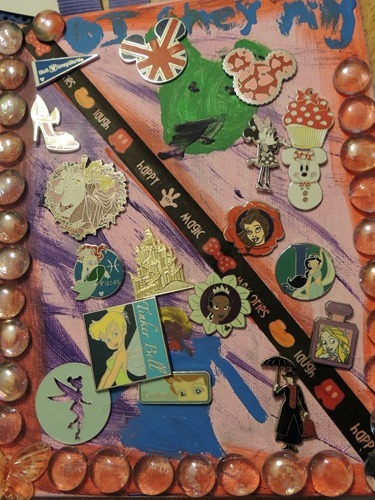 She ended up with a different Tinkerbell Cinderella, Aurora, and Tiana, plus the Aurora and Mary Poppins that she already had – and a Happily Ever After button – I have that one too! She also left with 5 and came back with 6. Hmm. Zachary found an awesome train pin with Pluto on it, the blurry one on the top left side. 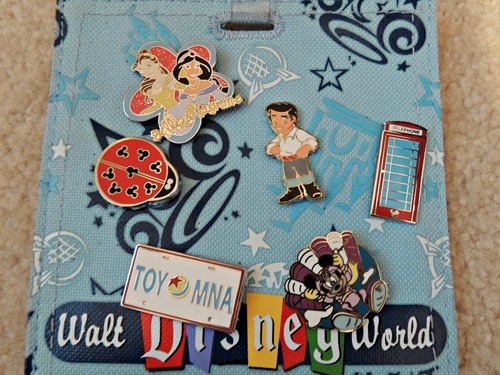 He also traded all of his others aside from his keeper pin – Buzz – and now has Donald, Tigger, an awesome Monorail pin, and a 2013 with Donald. Again, left with 5 and returned with 6. I know I found at least one on the ground, maybe I found more? We didn’t buy any! 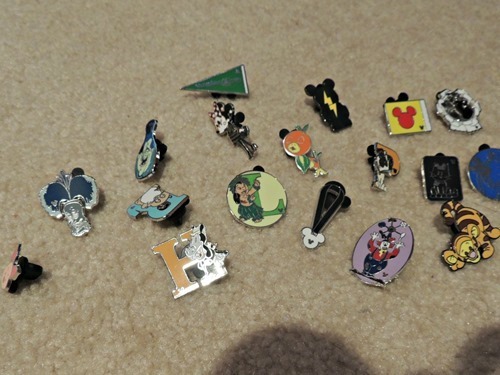 But then, in July, after our trip, I placed an order on eBay and got a lot of 50 pins for $18.50! 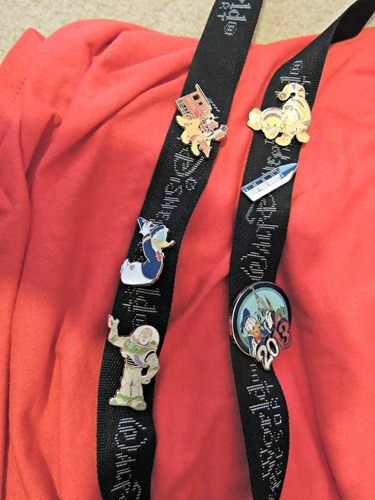 So the kids and I had a little pin trading party in our house. 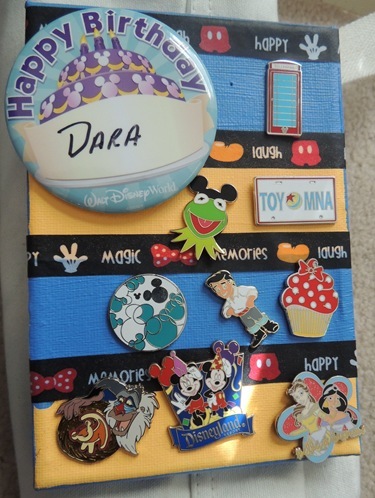 Gabbie also decided to make a pin display. 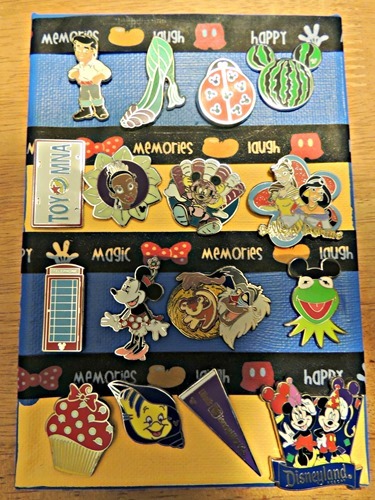 And now, when we go back to Disney World one day, we have lots of tradable pins! 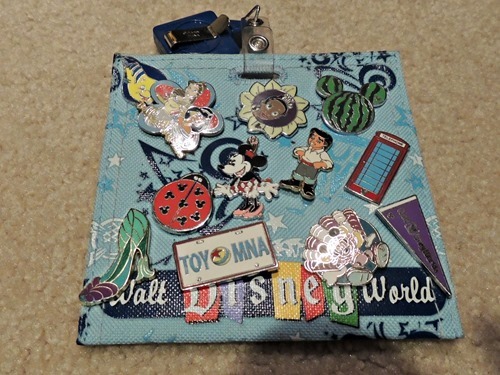 Do you trade pins at Disney World? Have any favorites? Please share!